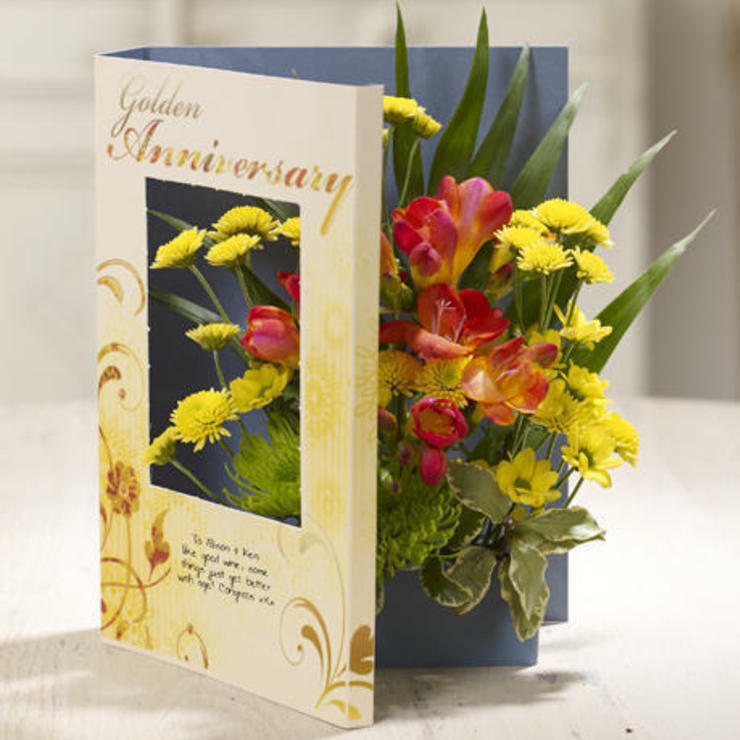 A luxurious fresh bouquet of fragrant red freesias, presented in a fabulous Golden Anniversary card to adorn their party table. 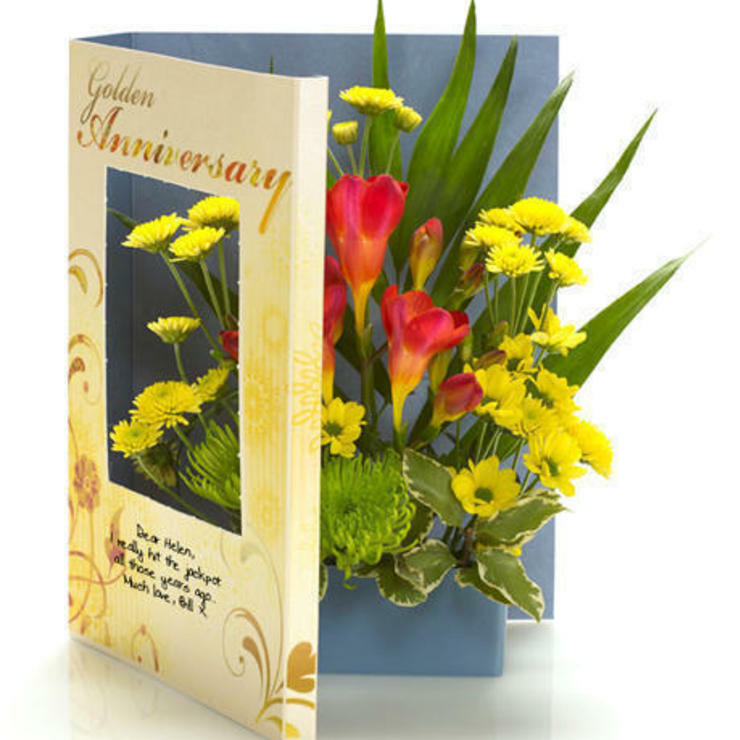 Honour their 50 year achievement with a personalised message that denotes your love, respect and admiration! 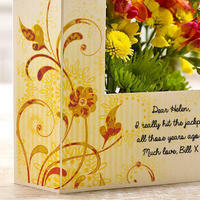 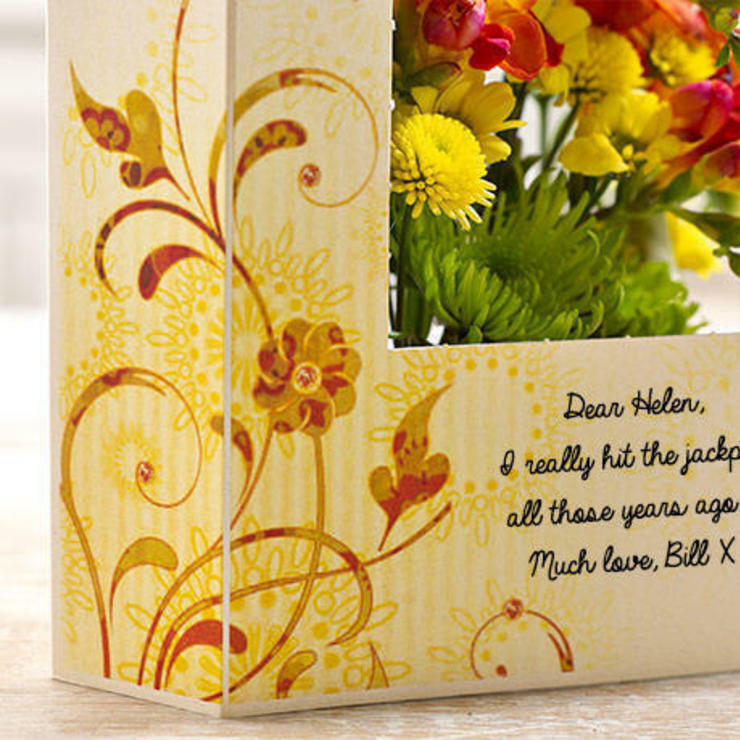 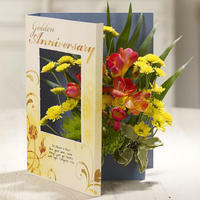 "Golden Anniversary" will be printed on the card as well as your personal message.